Terrific close-up of this bee. 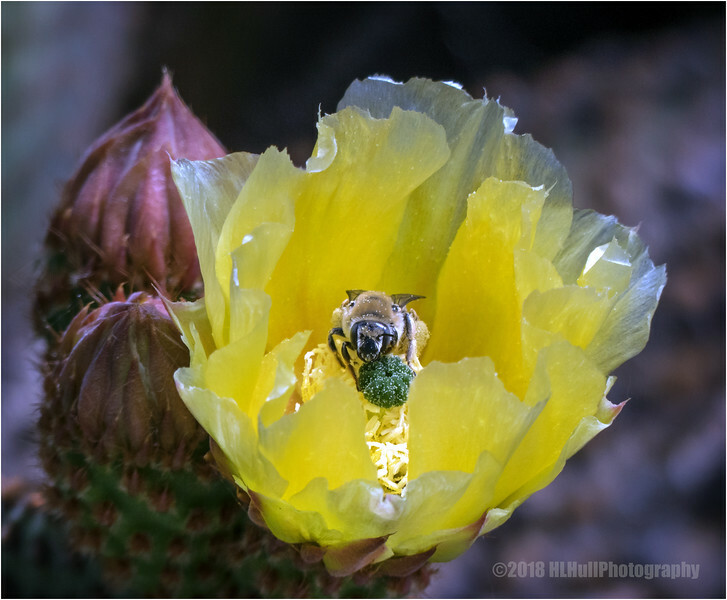 Wonderful capture of both bee and cactus flower...great light! You really captured the delicacy of the cactus flower petals--and of course the bee is great. A very busy bee! Splendid capture!